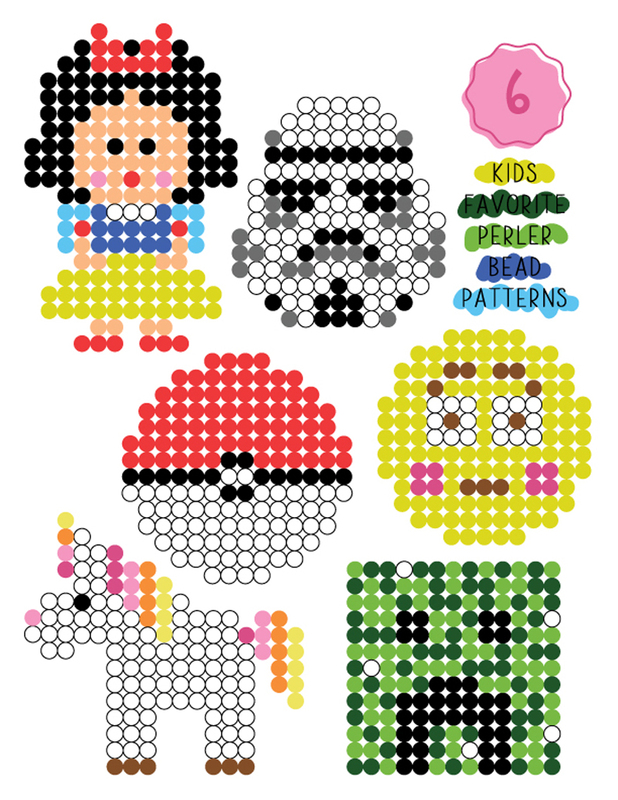 Inside: Six Kid Friendly Perler Bead Patterns. I’m pretty obsessed with perler beads these days. Remember the cute perler bead snowflakes from last month? They were a hit! So we are back, this time channeling that inner child, and creating SIX perler bead patterns, all free to print below. 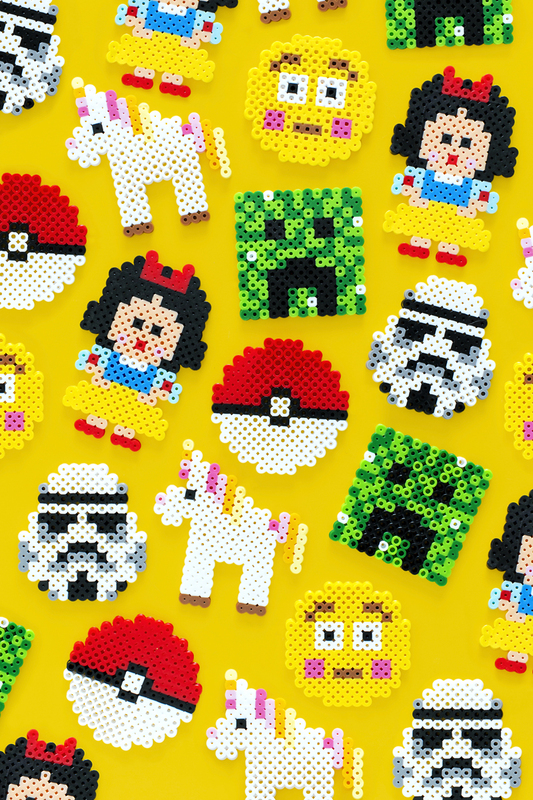 Inspired by our favorite popular kid themes including; Pokemon, Minecraft perler bead patterns, Emoji perler beads, Starwars free printable perlerb bead patterns, Unicorn, and Disney with Step by step instructions, supplies and the free printable PDF patterns. 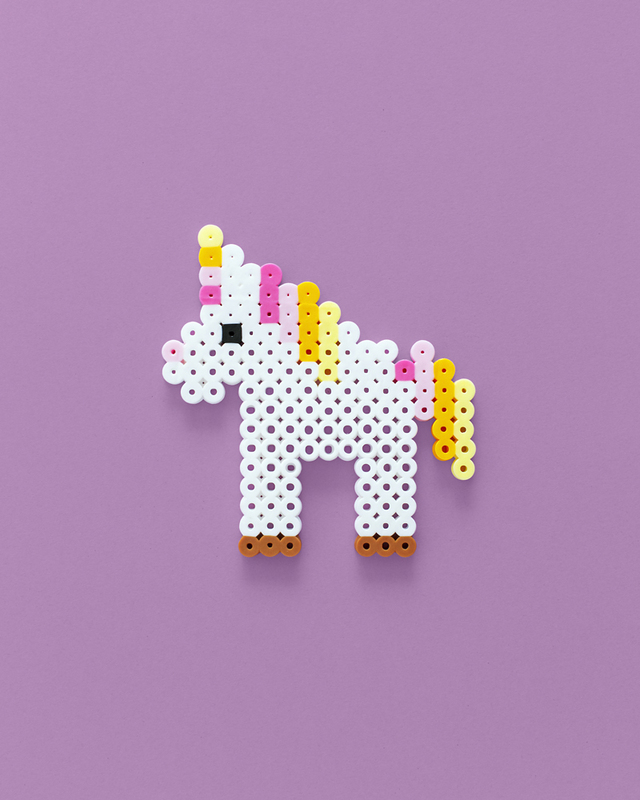 When it comes to perler bead patterns the possibilities are endless! Before jumping into printing our patterns below here are a few supplies you’ll need to gather. And for all that endless fun and reach all your crazy perler dreams I suggest buying the biggest tub you can find. I mean might as well go big or go home, am I right? I used the tub of 22,000 perler beads so that I would have all the perler bead colors needed instead of buying individual bags. Which in the long run is way more cost effective as well. For all you Disney fans, I chose mine, and my daughters favorite Disney princess and created Snow White. 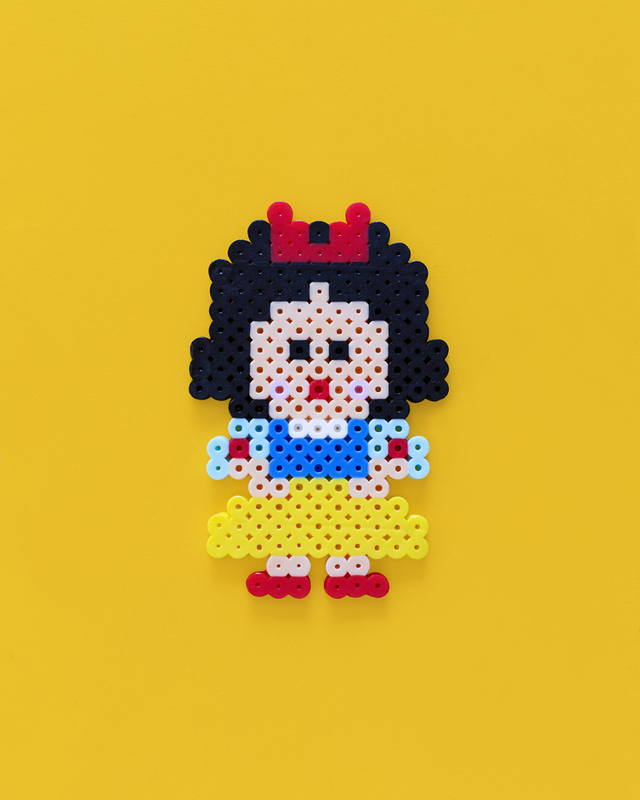 It would be so fun to create all the Disney princesses to have the whole perler princess gang! 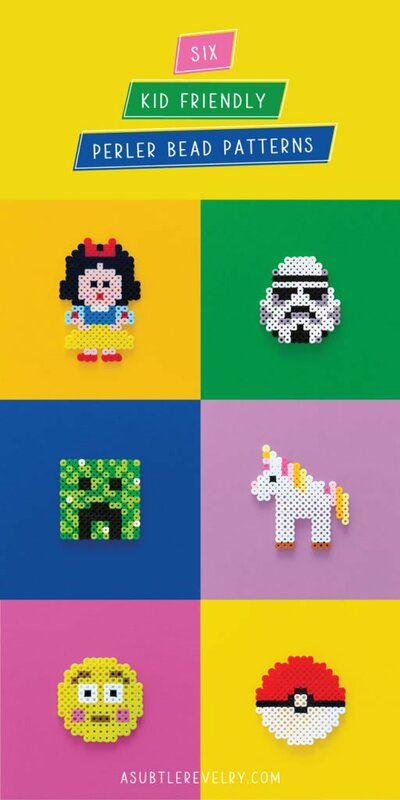 You could attach magnets to the back and create a fun perler fairytale for the fridge. Since Star Wars is pretty popular (obviously), I created the classic black, white, and gray stormtrooper. But the fun doesn’t have to stop there, keep going and you will have the entire gang ready to save the day. May the force be with you! Who doesn’t love a good emoji? I chose one of my most used emojis, and made the blushing stunned face, in classic yellow. I loved making this emoji! Honestly, I love making anything and everything emoji, as you can tell from this emoji cake decorations, they are just so fun! What is your most used emoji? I knew Minecraft was popular, but I never knew quite what it was all about. Now I know exactly what it is, and even played a game or two. 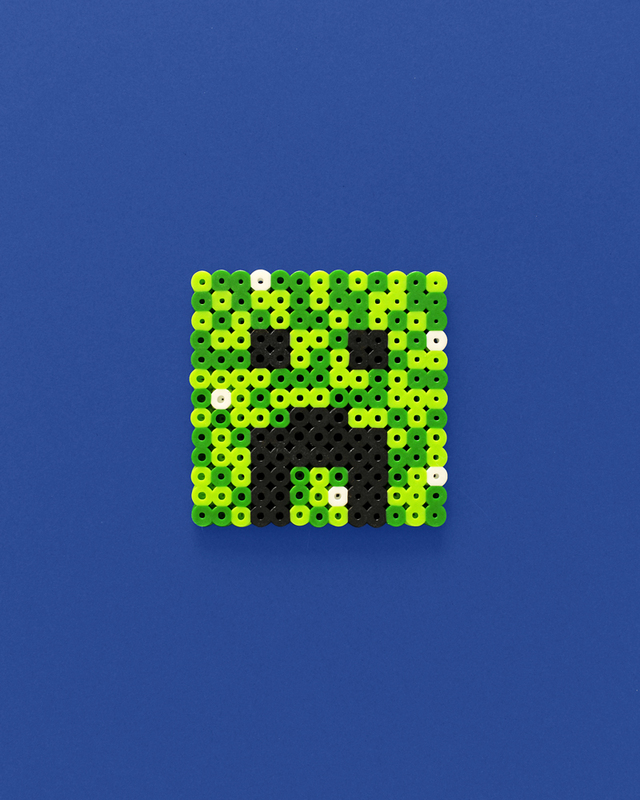 For the Minecraft lover, I chose the most unique, and classic character, Creeper. Plus, I just love the color green. So Creeper was a no brainer. Finally, you can’t deny that rainbows and unicorns aren’t all the rage. I’m obsessed with unicorns myself, as you can tell from this cute mini cake. So for my last perler bead creation, I couldn’t resist melting together a cute little unicorn, to round off the bunch. 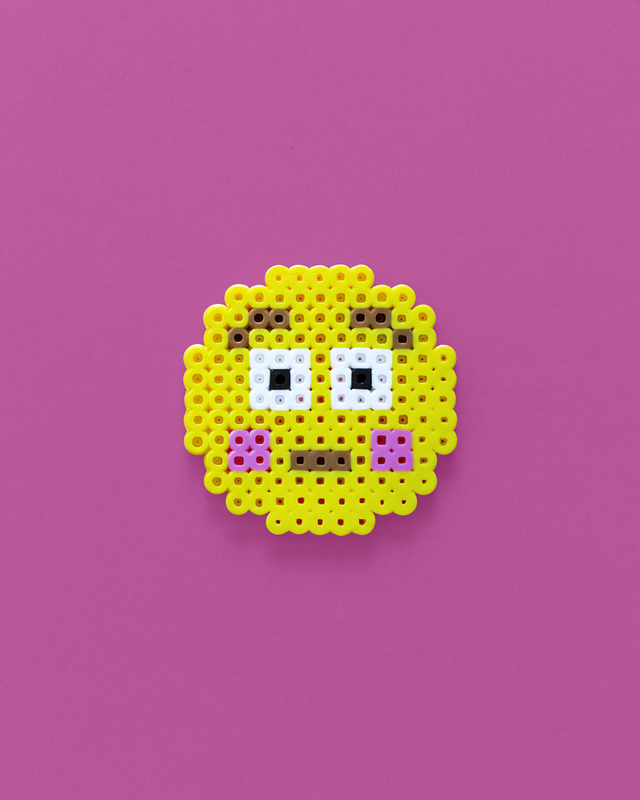 Making these kid-friendly perler bead characters is simple, find the unirocn perler bead pattern along with the other patterns in the free printable PDF below. 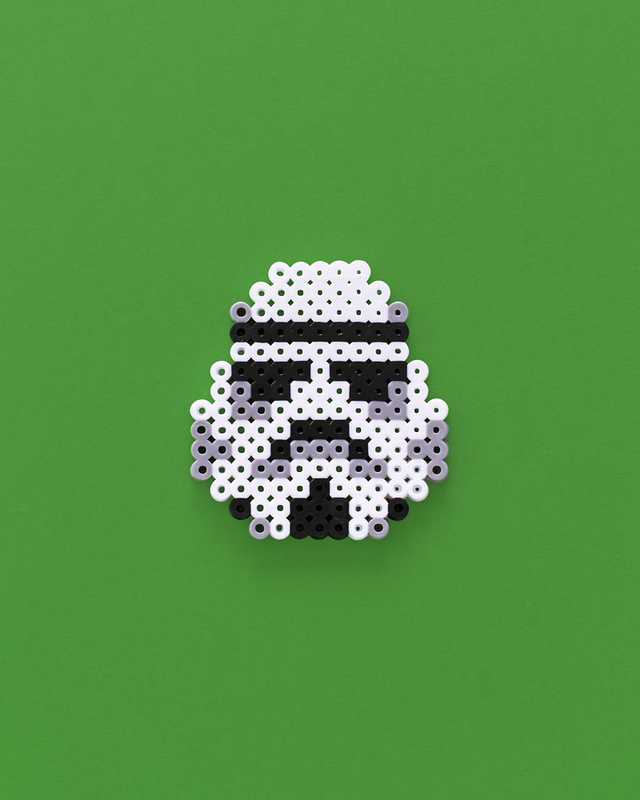 Step 1) Start by printing off the FREE kid-friendly, perler bead pattern PDF. 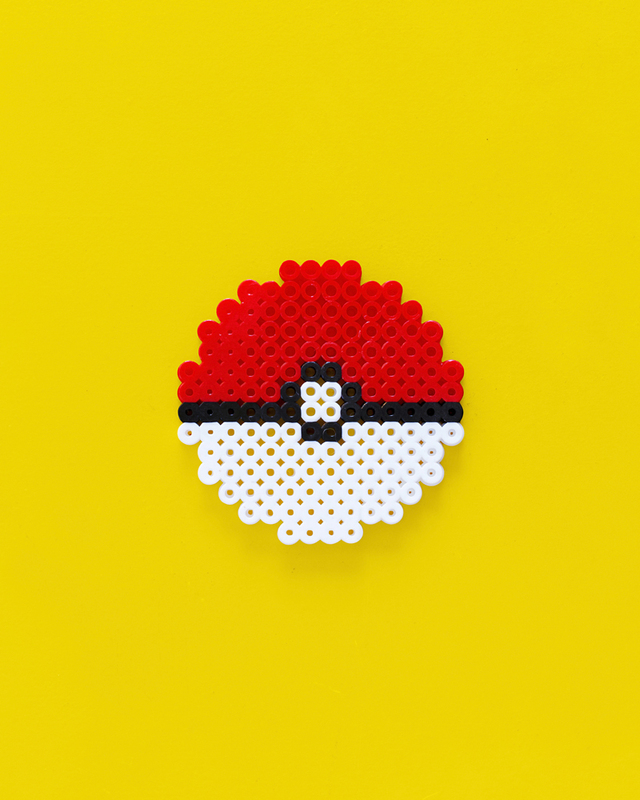 Step 2) Using the guide, create one, or all, of the perler bead creations. Step 3) Iron the perler bead pattern according to the back of the perler bead package. I like to iron mine at a medium heat setting, taking my time to melt at an even speed. Step 4) Cool creation between two books. Now, this step is optional, but to get a flat finished project, allowing the perler beads to cool between two flat objects really helps. Otherwise, your perler bead creation will dry slightly curved. Viola! Aren’t perler beads so fun? I thought it would be fun to create all of the Disney princesses, to go along with Snow White, for my daughter. Kind of like a plastic version of paper dolls. Since perler bead creations are just simple shapes, and not very detailed, you really can’t mess up. Let your creation go wild. Photos @A Subtle Revelry by Brie Zacher. That Snow White is to die for!!! Cute pictures BTW.